Sotheby’s sale of Modern and Contemporary Arab and Iranian art, fell 23% short of its low pre-sale estimate. The most troublesome aspect of the sale was the 56% rate of unsold lots. The result questions whether the global art market is already starting to feel the pinch of the negative economic outlook and the recent turmoil in the world’s financial markets. 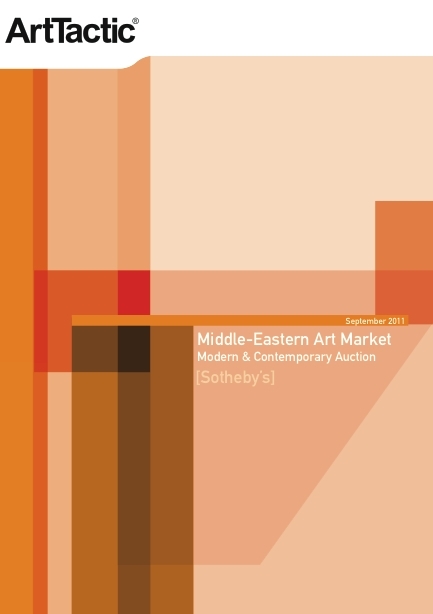 The September 2011 Auction Analysis report provides fully updated results and analysis from Sotheby’s most recent Middle Eastern sales.